Ford’s upcoming B-Max is not just a small MPV with unusual doors, it’s also a rolling showcase for Ford’s growing expertise in the use of high-strength steel. 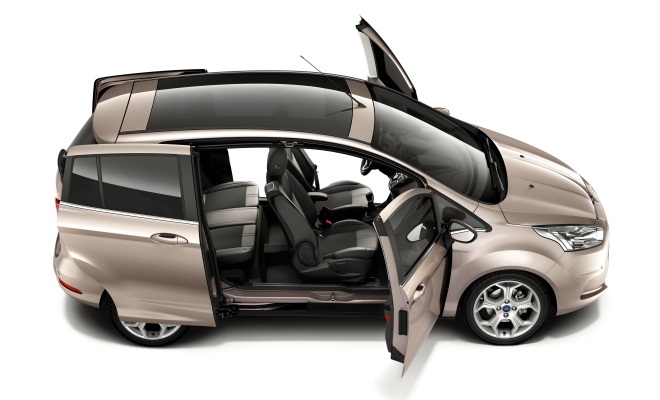 And that expertise means that the B-Max’s innovative doors, giving uninterrupted wide-open access to a car’s interior, will become a feature of other Fords in the near future. Darren Palmer, product development director at Ford of Europe, confirmed last week that the techniques used to make the B-Max are “scalable”, and can be applied to bodyshells much larger than the modestly proportioned B-Max. “The B-Max uses a very high proportion of boron steel,” explained Palmer. Boron steel is very strong, but is a particularly difficult material to work with. While the sheet steel traditionally used to make car bodies can be formed into complex shapes under ordinary conditions, boron steel has to be hot-stamped at fierce temperatures of around 1,000°C. The steel then has to be cooled in a controlled way, shrinking as it cools. And then the resulting shaped, cooled and shrunk piece of high-strength steel is much more difficult to weld onto the rest of the car’s body. All these drawbacks are worth overcoming, because a material that is stronger and stiffer than ordinary steel can be used more sparingly, cutting the overall weight of a car for a given level of crash safety. And a lighter body means better fuel economy, or better acceleration, or both. Despite missing a big piece of an ordinary car’s structure — the central pillar that holds the roof and floor together in the middle of the car, the B-Max is actually stiffer as a whole than Ford’s own Fiesta, according to Palmer. And the Fiesta is a smaller car, making it easier to make strong and stiff. The difference is down to the types of steel used in key components like the roof and sills. A car’s stiffness — its resistance to forces trying to make it bend — is not just important to stop the car creaking as it drives over ruts and bumps. Stiffness also determines how the body will behave in a crash, and governs how the car will handle, making the car predictable and precise from the driver’s perspective. “Stiffness gives the whole character of the car,” Palmer said. It should be noted that the B-Max is only stiffer than the Fiesta when its doors are shut, because Ford has given the job normally done by the central pillar to the doors, all of which can be opened and shut independently. A strong link between the roof and floor is still needed to keep the car safe in a crash, and the doors of the production car are noticeably thicker than normal. “When the doors are shut they are clamped very tightly to the body and become part of the structure,” Palmer explained. Patented latches at the top and bottom of both front and rear doors are designed to tighten their grip in either a frontal or a side-on impact. “In a front impact, the roof wants to go up and the floor down,” said Palmer. “The latches are designed to resist that movement”. 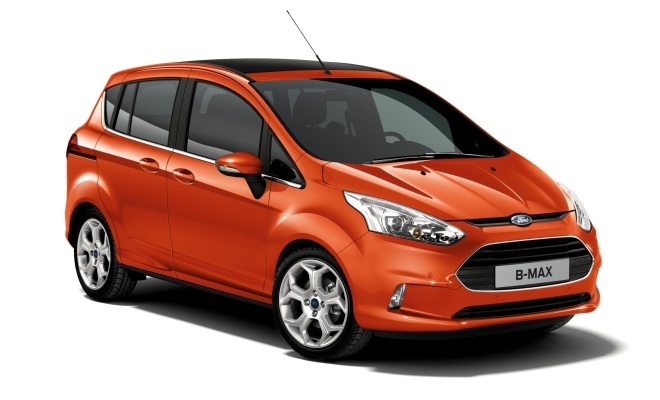 As a result, Ford is predicting a high-percentage five-star rating for the B-Max when it goes through the tough Euro NCAP crash test programme. And because of all the boron steel used in the doors and in the aperture around them, Palmer said the B-Max will be competitive with others in its class — such as the Vauxhall Meriva — when it comes to overall weight. 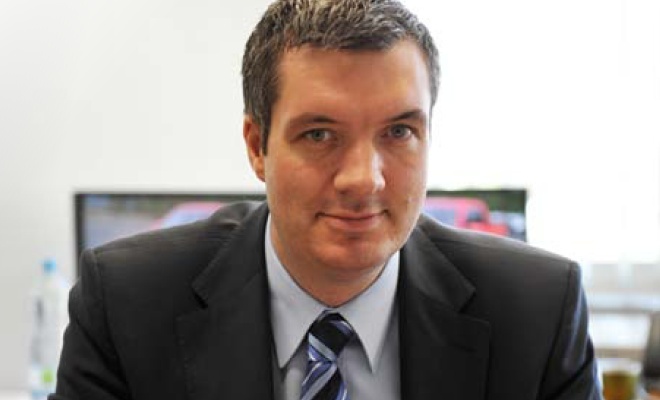 “That’s important for us to be competitive in fuel economy as well as performance,” he added, noting that consumption and CO2 ratings are increasingly important in the fiercely contested market for smaller cars. The only question mark that remains is cost. Prices will be announced in March, ahead of the B-Max’s showroom arrival in August. No doubt Ford will want to stay competitive on cost as well, no matter how expensive it sounds to hot-stamp all that high-strength steel.